I have previously //waxed poetic here// about my love for blue cheese dressing. I consider myself a blue cheese dressing expert. I know what restaurants have good blue cheese dressing, and what restaurants have meh blue cheese dressing. I have had my go-to recipe for forever, which is straight out of a //Morton’s Steakhouse cookbook//, and it is amazing. But, it does require you to have a couple specialty ingredients on hand, or at least to buy them and then wonder what to do with the rest of them until the next time you make blue cheese dressing. So, when I found //this recipe for blue cheese dressing//, and actually got sucked into the written blog post (for once – I usually skip over the writing and go right to the recipe 🙊), I knew I had to try it. The author seems to love blue cheese dressing as much as I do, and there are not too many of us out there in this world. She and I are on the same level concerning this creamy, chunky dressing, in a land where ranch tends to dominate. Someone who waxes poetic about blue cheese dressing like I do HAS to make a good blue cheese dressing! AND SHE DOES. Folks, this is quite frankly my new go-to blue cheese dressing. I don’t have to buy any special ingredients and it was SO good. The only thing I would cut back on is the garlic – it was a little strong for me, BUT, I grate my garlic instead of chopping it, so that might have intensified it. It didn’t taste bad at all, but the garlic flavor was a little strong for me. So next time, I’ll halve the garlic, and drown a salad in this dressing and chomp away happily. 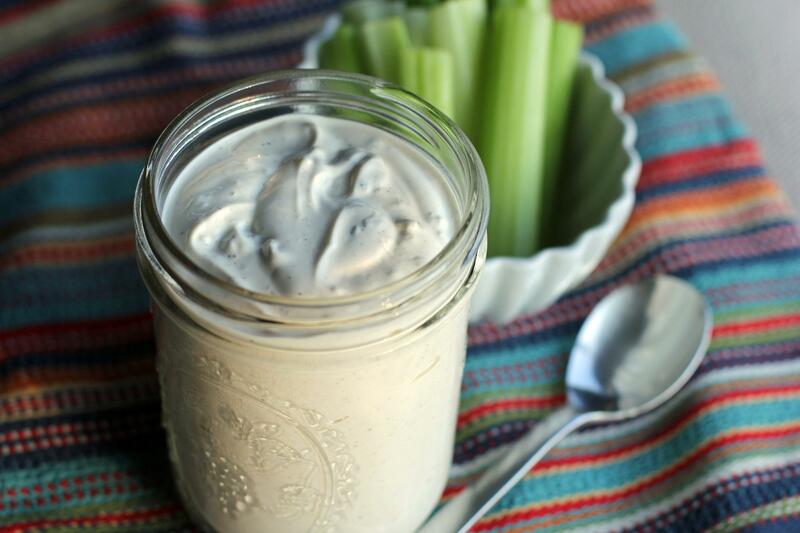 If you are a blue cheese dressing fan like I am, you should give this recipe a try!